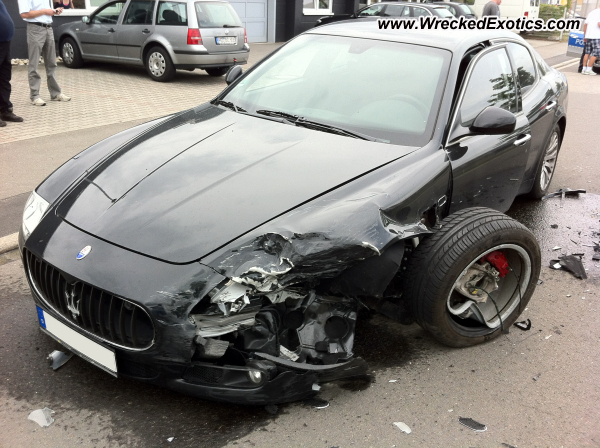 Auto Body-Collision Repair-Car Paint in Fremont-Hayward-Union City-San Francisco Bay: 2012 Maserati Quattroporte "Fender Bender"
2012 Maserati Quattroporte "Fender Bender"
Almost Everything's Wreck of the Day is a brand new Maserati Quattroporte. 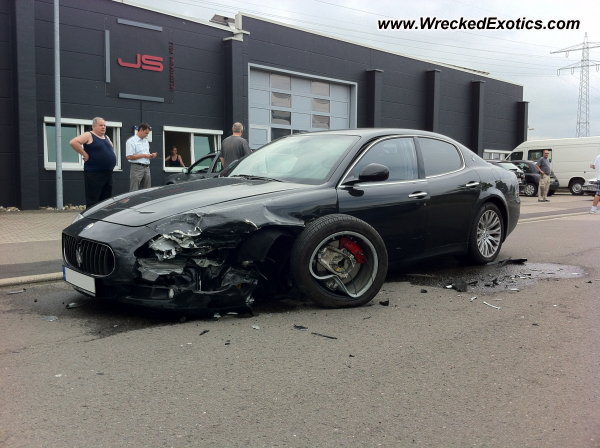 This accident happened in Hockenheim, Germany when a truck supposedly turned in front of the Maserati. The Maserati was only going 30 miles per hour, demonstrating that it does not take a lot of speed to do a lot of damage when 2 heavy objects collide. Thanks to our friends at WreckedExotics.com who always amaze us with the car destruction they find.